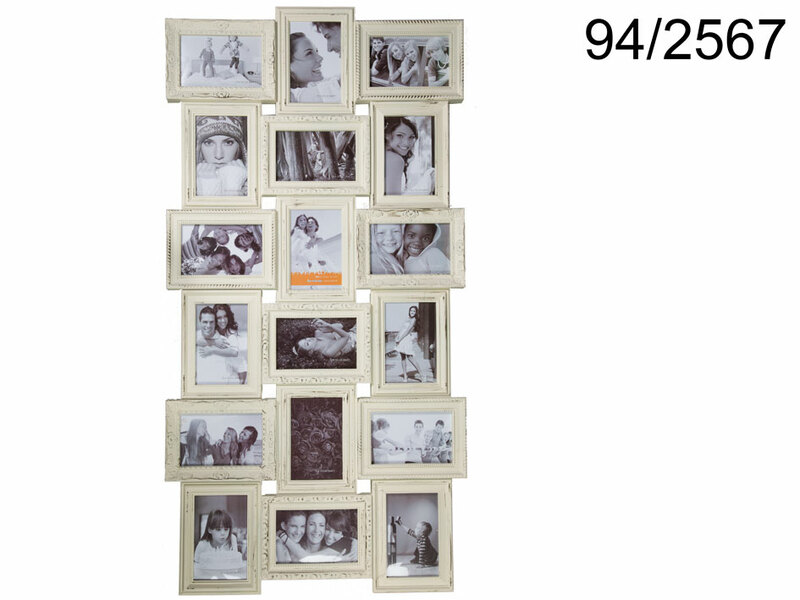 Large vintage style picture frame for 18 pictures - nine 10 x 15 cm ones and nine 15 x 15 cm ones. Made of plastic. For hanging. Great idea for gathering many memories in one place. Gift idea for friends and family members.